WA Digital Marketing Report | Stats the way (uh-huh uh-huh) I like it! What’s the state of WA Digital Marketing? Are you interested in how WA businesses approach their Digital Marketing? 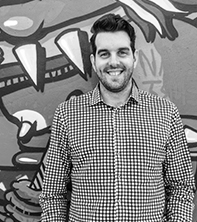 I asked Freddy Hollow from Bang Digital some questions about their annual WA Digital Marketing Report to find out more! What do you think is significant about the move from top place to third position for Search Marketing? Well SEO and SM were the old faithful’s and they still have a very important place in the mix, but it indicates a broader acceptance and recognition of Social Media and Email marketing as viable channels. The updates in the FB advertising platform and email automation have likely had a big hand in the jump. Will Search continue to drop? 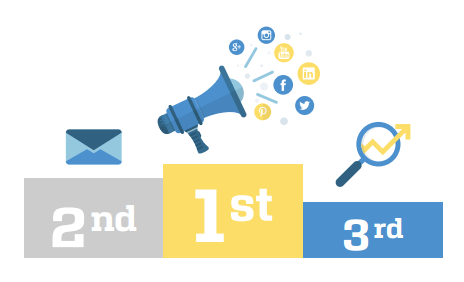 I don’t think so, Search, Social, and Email are the core 3 channels that should be the basis of a marketing campaign. Do you think Video will continue to rise as a content strategy? Yes, the cost of entry is lowering and it’s such a good method of delivering messages. Like anything, people will need to be creative with it and use it in the right way. 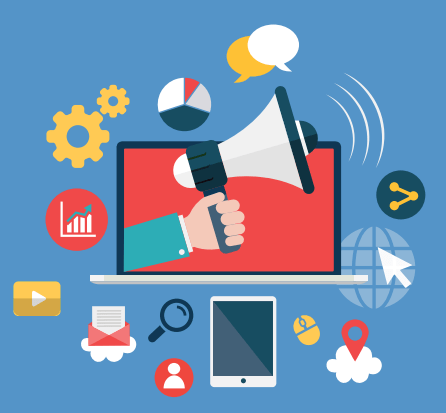 Do you think “Content Marketing” is widely understood in the Business world as a term? Would more people have had that as a response if they were more familiar with the term? As a general concept it is definitely well known, but I’m not sure if it’s understood correctly. The marketing trends page (7) gives an indication to how Content Marketing is understood by businesses as 52% were planning to utilise content marketing this year so businesses obviously understand that Content Marketing is important. Generally people think content marketing is social or blogs or videos (which are all great) but really content marketing could be the way you design or format instruction sheets or FAQ’s or a pricing comparison on a product page. These aren’t the exciting things people think of when discussing content marketing, but good content marketing is about providing the right information at the right time during your customer’s (or customer segment/avatar) particular customer journey. 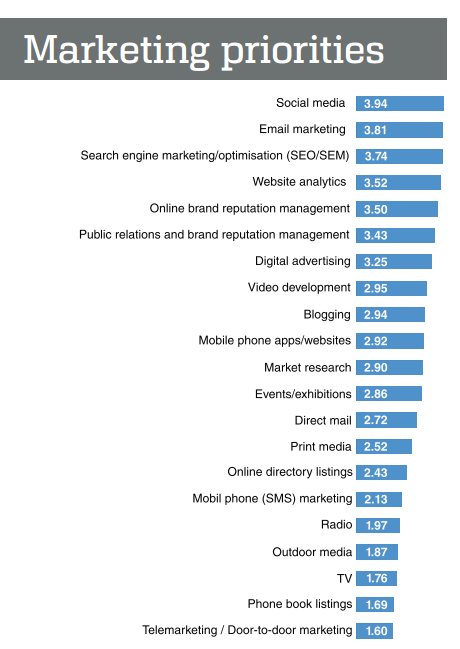 Next year we will definitely add Content Marketing as its own answer to the list on the Marketing Priorities section of the survey. 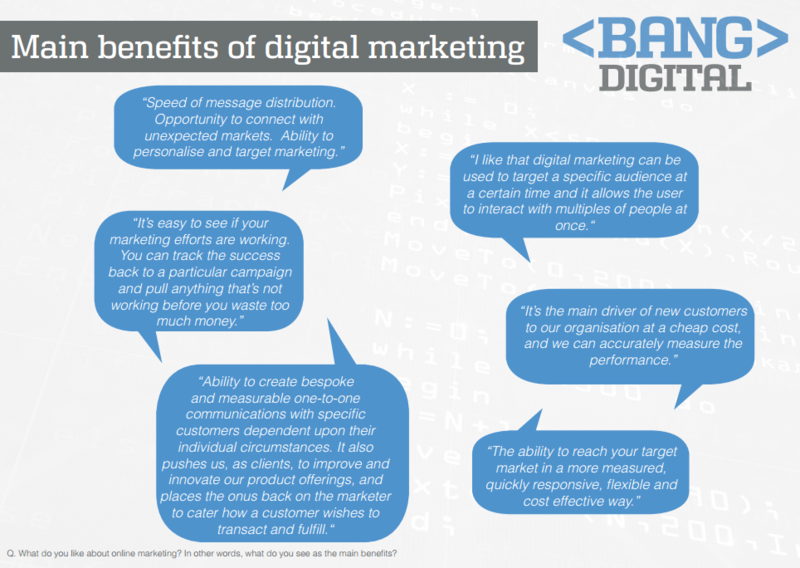 We’ve seen some of the “Main benefits of digital marketing” responses in the report – what would your response have been? Trackability – the accuracy in which you can track your results vs spend. Targeting – the amount of targeting options available through digital channels. 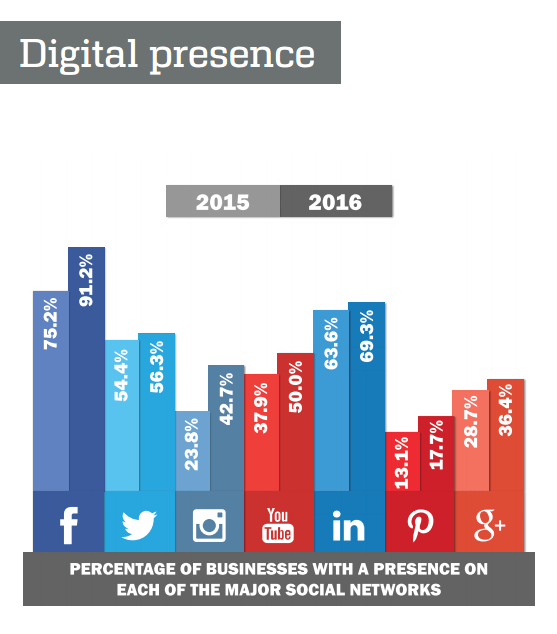 All of the “Digital presence” stats for the individual social platforms are up on last year – do you think any will drop next year? Will a new player be introduced in 2017? I don’t think any will drop and we will add Snapchat into the survey for 2017. 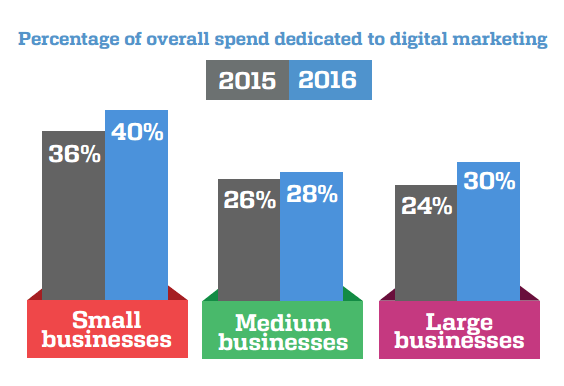 The stats for “Digital marketing spend” are all increasing. Do you think this will continue into 2017? Are some businesses being priced out of the market? Yes, it will only continue to increase year on year for the foreseeable future. I don’t think businesses are necessarily getting priced out – there are plenty of activities that businesses can utilise themselves and marketing professionals are only getting stronger in this area. 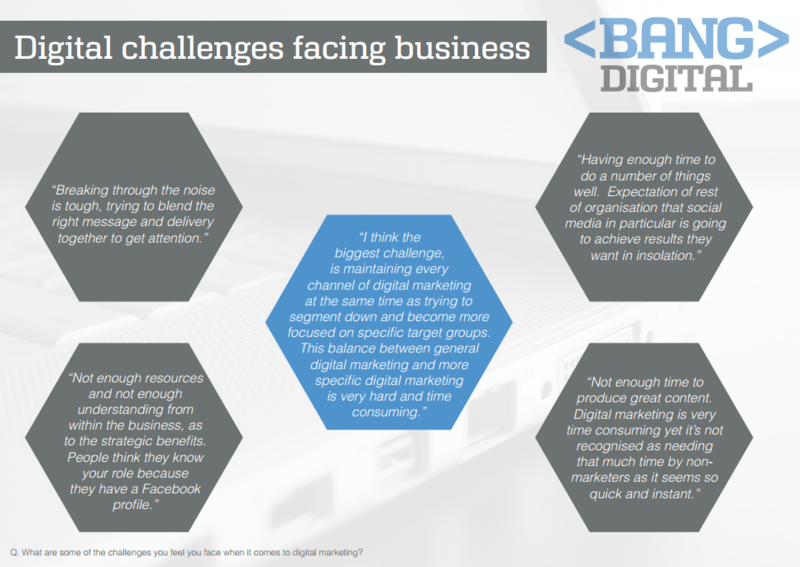 We’ve seen some of the responses to the “Digital challenges facing business” question – what do you think the biggest challenge is as a marketer? What’s the one you hear from clients or your team most often? Time and understanding seem to be the biggest challenges. The amount of time it takes be across or implement the relevant channels and the understanding of the digital marketing mix. People understand what a tv, print or radio advert is but don’t understand some of the newer digital techniques and channels. Are WA businesses becoming better at analysing their data from digital marketing? Yes – we have seen a big jump in the understanding of digital as a whole but definitely an increase in the understanding of Google analytics and key digital marketing metrics. 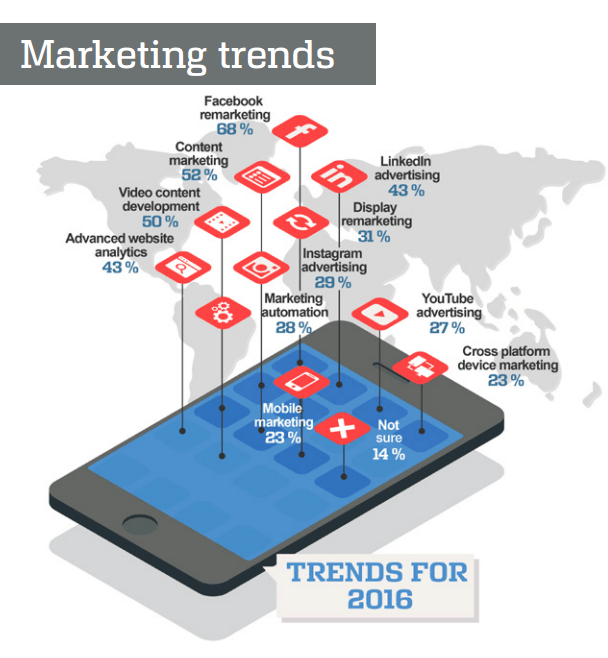 Do you infer anything else from the survey results about the state of digital marketing in WA in 2016? Not as something that jumps out – working with clients constantly I’m pretty in tune with how people view digital marketing in WA. As an agency, how do these stats help you? And how do they benefit your clients? From us as an agency it’s really positive to see an increased understanding in digital and it also highlights areas that people are interested in, so we can tailor or own content accordingly but really as an agency we are always educating our clients or providing them with recommendations that help their specific business – so although the stats may say that everyone is interested in Video it really depends on each businesses individual situation. For clients it hopefully it acts as a reference or education piece that helps them plan out their marketing activities or acts as a verification of sorts for their own strategy recommendations. So there we have it folks! We got a bit of insight beyond what’s available in the report itself, which if you haven’t read in full and would like to make sure you check it out! Thanks so much to Bang Digital for putting together this report every year, it’s so interesting for a stat nerd like myself – and for businesses to see how the rest of the industry is travelling! And a big thanks to Freddy for fitting me into his busy schedule and answering my quesitons! For those who have read the report – did you have any other questions I didn’t ask? I’d love to read them in the comments!